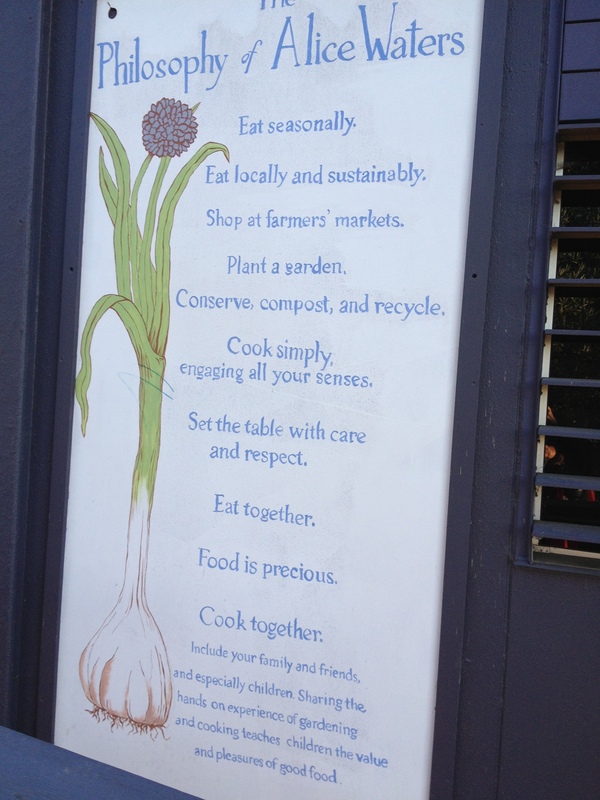 I totally embrace the food philosophies of Alice Waters, and have had the pleasure to spend time at the more than incredible Edible Schoolyard in Berkeley, California. Founded in 1996, it’s a one-acre garden and classroom where students are given the knowledge and values to make food choices that are healthy for them, their communities, and the environment. Will definitely post photos of this beautiful school garden. Join us on Facebook and share which of these philosophies you resonate with.